Is Your Boiler in Top Shape? | Desert Suns Heating & Cooling Inc.
Is It Time to Upgrade Your Heater? Here are a few warning signs that you should call a professional for repair services. Our team here at Desert Suns Heating & Cooling Inc. has served the Albuquerque area since 1999 and we understand the unique needs of the local climate. Trust us with your boiler services. How old is your boiler? Boiler systems are amazing because they can last such a long time. But all HVAC systems will eventually need to be replaced. If you seem to experience a lot of the problems listed below then you should consider upgrading your boiler. Although upgrades are often expensive, it’s more cost effective than constantly repairing a faulty system. If your hot water is working but the heat receiving from your system seems to be weak, then you have a problem with your boilers water pressure. The source of this problem could be with your entire home, but it’s more than likely that it’s actually because of a blockage somewhere in your system. If you suspect a leak, call a plumber from our team. They can help you determine where the source of the blockage is and do all the right work necessary to fix this issue. Hearing some weird things from your boiler? In this instance, anything other than silence can typically be categorized as a “weird” thing to hear from your boiler. The most common problem noise to hear from a boiler is banging. If you hear this noise then you’re more than likely having a problem with your piping. Often times, as your boiler deteriorates it gets loud, so call for repair services from a professional sooner than later. If your boiler can’t produce enough heat, then it’s a definite sign that you should call a professional for repairs. It’s easy to ignore this sign in winter because you might think that your home can’t get cold enough because of the super low temperatures, but in actuality, it’s the decreased quality of your heater. If you’re uncomfortable in your home, call our team. 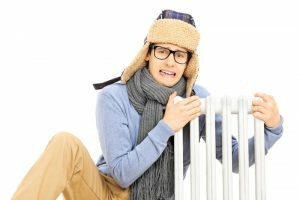 If you’re experiencing any of these problems in your Santa Fe home, make sure to call our amazing Desert Suns Heating & Cooling Inc. team for boiler repair services.